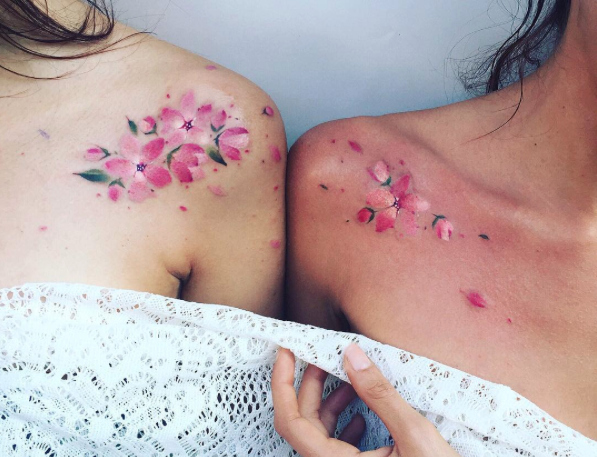 We admit it: we’re head over heels *obsessed* with best friend tattoos. We’re HUGE FANS, from Ariana Grande’s BFF tat to Sophie Turner and Maisie Williams and their matching works of art. We’re seriously just so here for celebrating the ~magic of friendship~ with a little (or a lotta) body ink. What better way to pay homage to your beautiful friendships and the closeness of your #squad?